There was a time when winter in the Indian capital was a glorious thing. Clear, sunny days and crisp cold nights. No longer. Over the last decade air pollution has grown so rapidly that the cold weather turns the city into a grey, smog-filled health nightmare. 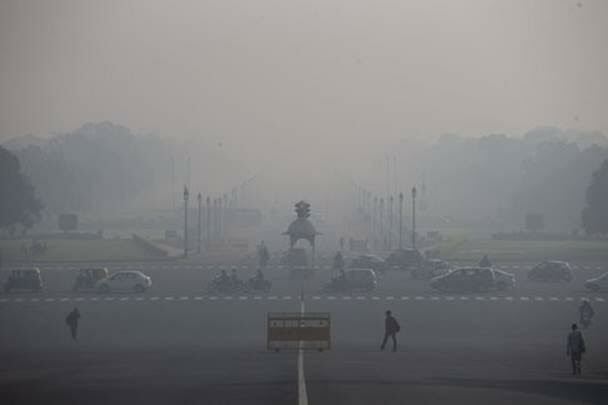 New Delhi has earned the dubious distinction of being the world’s most polluted major city, surpassing Beijing. While the Chinese capital has made progress in spreading awareness about air pollution and is taking steps to address it, New Delhi has barely begun to acknowledge the problem. But as hacking coughs linger for months and red, watery eyes itch, a slow awareness is developing. 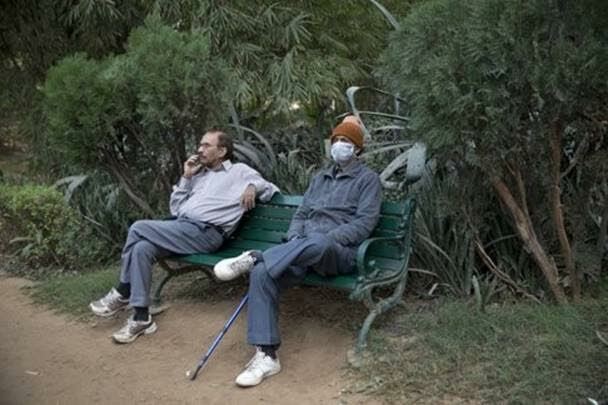 Some people tie handkerchiefs around their mouths and noses and others wear surgical masks. Sitesh Singh drives one of the city’s many auto rickshaws and suffers from asthma. He has started wearing a surgical mask through the winter and says it helps him breathe. While surgical masks protect from larger pollution particles they do little to filter out smaller PM2.5, the most lethal particulate pollution that can become lodged deep inside the lungs. 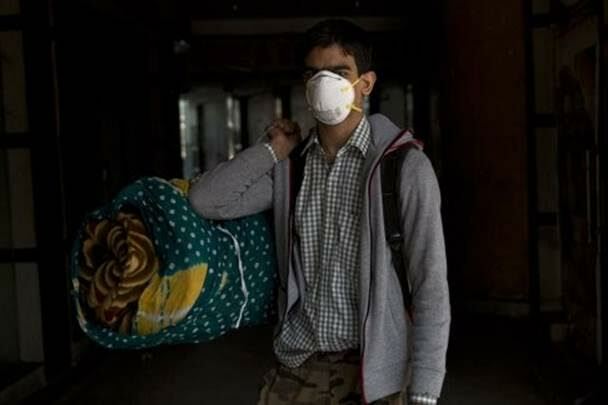 While there is scant reliable data on respiratory illness in India, doctors say the number of cases is rising and the ones they see are more serious. Over the last week PM2.5 levels have soared above 300 micrograms per cubic meter on some days, 12 times the standard set by the World Health Organisation. When air quality hits hazardous levels in China schools may be closed, industries shut down and government vehicles taken off the roads. India has no such emergency protocols. Anti-pollution laws remain widely ignored and unenforced. Its fledgling air quality index covers only a few cities with a patchy network of monitors that often don’t work. Globally, air pollution kills millions of people every year, including more than 627,000 in India, according to WHO. India’s air pollution comes mostly from coal-fired power plants, crop burning, domestic cooking with firewood or cow dung, and vehicles burning diesel fuel. It’s been unseasonably hot in North India this month; but cooler weather brings not relief but stinging eyes and painful breath. Air pollution has become headline news here—one of the snippets that flowed from President Obama’s visit was that breathing the air had cut six hours off his life-expectancy. Soot levels are up to 16 times higher than World Health Organization safety levels, double Beijing’s. Corporations routinely try to reassure their staff by providing air purifiers for their offices. Delhi came to the edge of unlivable air pollution once before, in the 1990’s. Highly polluting two-cycle three wheeler motor rickshaws were a main villain. A campaign led by the Center for Science and the Environment, capped by a Supreme Court ruling, converted the rickshaws to CNG and the air immediately improved. But three decades of vehicle growth, exacerbated by government subsidies for diesel fuel which drove the auto market towards dirtier diesel models, brought the return of choking air. This time there is no single fix like CNG in the wings. Not all of Delhi’s problem is the result of poorly controlled industry. The early winter problem is significantly exacerbated by the burning rice straw in the fields after the harvest. And cultural practices matter. When three babies sued to prevent the use of firecrackers to celebrate India’s Diwali festival, because the crackers create enormous clouds of smoke, the courts declined to intervene, referring to well established custom. They did, however, rule that trucks passing through Delhi bound for other destinations were to pay a special toll to encourage the to route around the heavily polluted capital. (Many of the destinations were Delhi suburbs which lie outside its boundaries but are fully economically integrated). When the company which manages the truck check points into Delhi initially refused to collect the tolls, the courts instead ordered such non-local loads turned back, even though in some cases the crops the trucks were carrying would rot on the longer routes around the city. The result was a nightmare—long lines of trucks waiting at the check-points, belching out pollutants and wasting fuels while inspectors used handkerchiefs as respiratory protection. Eventually the collection of the toll was implemented—but if it accomplishes its purpose and causes truckers to drive around Delhi instead of through it, regional pollution could well increase because the new routes will be longer and more fuel wasting. What is really needed is cleaner trucks and cleaner fuels or better ways of delivering goods than using trucks—but these take time. Industries resist real modernization. When governments accede to these pressures to avoid genuine solutions, they resort to “squeeze the driver” strategies like the Delhi truck tax. But public demand eventually requires solutions—requiring cleaner fuels as Delhi did with 3-wheelers and CNG, imposing tougher emission standards on new cars as Mexico eventually was forced to do, installing pollution controls of power plants as the Obama Administration is finally requiring in the U.S. The costs are enormous. Delaying modernization once air pollution hits the public concern threshold is invariably penny-wise and pound foolish. This is true even if you ignore the economic and health costs of the pollution itself. 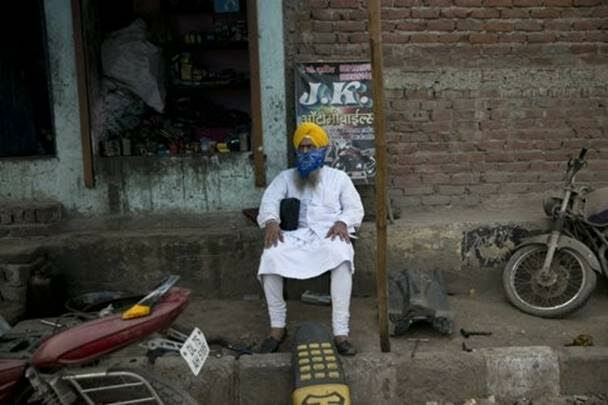 First, squeeze the driver solutions typically generate a lot of ancillary expenses, like raising the costs of shipping goods to Delhi suburbs or the increased driving in Mexico by clunkers. But more important, delaying action means that another generation of poorly engineered vehicles or poorly controlled power plants and factories, get built. When the public finally demands clean air, not band aids, governments are left with two economically unattractive options. Either impose truly draconian limits on new vehicles and facilities, to make up for the failure to control those just built; or insist on retrofitting (power plants) or junking (cars, as in the U.S. cash-to-clunkers program) vehicles and industrial facilities goods that should have been properly designed and pollution optimized in the first place. Retrofitting is astonishingly more expensive than doing it right in the first place. One of the major reasons for the shut-down of more than 200 U.S. coal power plants is that for decades power companies lobbied, successfully, to avoid installing mercury and sulfur pollution controls on them, choosing instead to purchase slightly cheaper coal and install high stacks to spread the pollution around. Now that the Obama Administration is insisting on cleaning up pollution, instead of dispersing it, pollution controls that might have been affordable as original equipment for plants built in the 1970’s and 1980’s are prohibitive. So delay is typical, whether we are looking at the U.S. or India. (Or London, where Mayor Boris Johnson has proposed to wait until 2020 to take any further action over London’s resurgent pollution, saying its air is not as bad as that in Beijing or even Paris. Instead, he urged Londoners to spend less time outdoors to improve their health). Delay is expensive, as India is likely to find out when it proceeds with current government plants to clean up public health pollutants from the huge cadre of recent coal plants it has built without scrubbers and other state of the art pollution equipment. And delay kills. 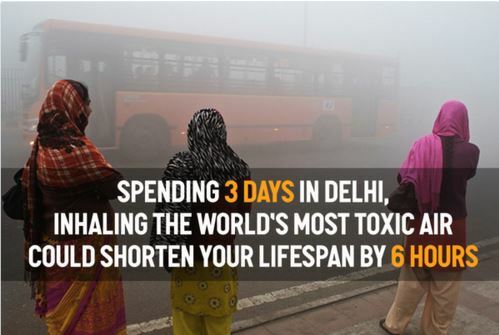 Delhi’s air may or may not be worse than Beijing’s. It is quite lethal enough to represent a real threat to the city’s residents. The saddest part of all—another generation all around the world is subjected to truly dangerous levels of pollution in the name of “economics” when delay only makes the final bill higher, not cheaper. No economist would recommend borrowing money from a money lender to pay routine costs of living—delaying real clean-up once pollution reached critical levels is no different.